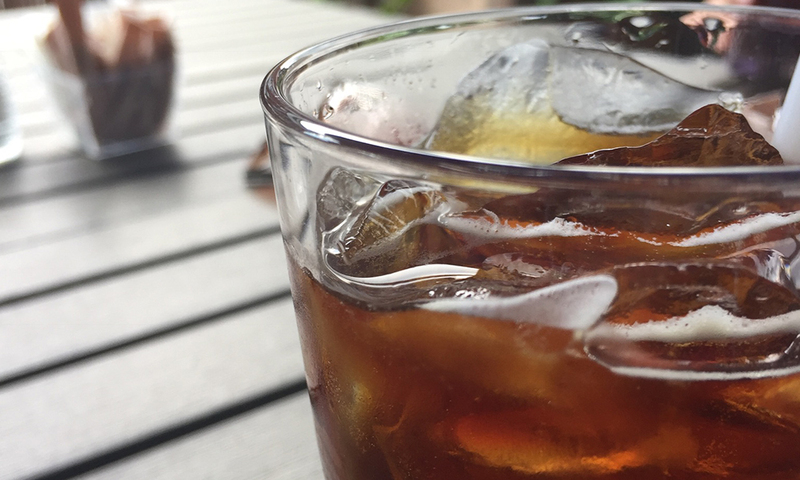 If you thought that cold brew was just for snobs and hipsters, you’re in for a surprise. Cold brew has become a 2 Billion dollar industry, with cans and bottles being sold at grocery stores and craft brews being served at big coffee chains, it’s almost as popular as beer, almost. We’ve recently jumped on the cold brew bandwagon as well and have realized that we’re in for a long and exciting ride. For those of you who have been living under a blanket fort for the past few years, Cold Brew is coffee based drink that is brewed in cold temperatures, with steeped ground beans. We’ve stocked up on the good stuff provided by our friends at Station Cold Brew, and it’s selling at our restaurants like hot cakes…well more like cool cakes. The question is, why do people love it so much and is it just a passing phase? It may seem like cold brew has been a thing only in the past few years but it’s actually been around for a while. The first evidence of cold brewed coffee was found in Kyoto style Japanese coffee. The Japanese were brewing coffee this way in the 1600s! Talk about being ahead of the curve. But let’s not give them all the credit just yet. Some early records do suggest that the Japanese may have learned about cold brewing from the Dutch traders, who may have used it to make coffee that could last through journeys over the sea. Over the centuries, Kyoto-style brews have become highly artistic. Instead of submerging grounds for hours, the coffee is brewed drop by drop. It’s a slow but beautiful process. The French also had their version of cold coffee thing going. Theirs is the earliest example of a coffee concentrate served cold, sort of like our iced coffee today. This was the original Mazagran, a beverage consisting of coffee concentrate sweetened and mixed with cold water, meant to perk up French Foreign Legion soldiers at the Mazagran fortress in Algiers. Then in the late ’60s, a garden nursery owner with a degree in chemical engineering was served a delicious coffee concentrate on a plant-gathering trip to Guatemala, his name was Todd Simpson. And so, the Toddy cold-brew coffee system was born in the US. Which coffee giants like Starbucks and Dunkin Donuts taking up the cause, in recent years, cold brew has taken flight. So why did this become so well loved? It’s no wonder so many Boom fans love our newest addition to the menu. It seems like the cold brew trend has been picking up for centuries and has a long way to go yet. So don’t forget to stop by at Boom Breakfast, the best breakfast restaurant to satisfy your cold brew cravings.